No Tax* and Free Shipping in the continental US on most products. Tax collected in MN only. Gov't and EDU Purchase Orders Accepted. A translucent, neutral grey surface that offers high transmission and low reflectance values for optimal viewing. It yields excellent color rendition, image contrast and a moderately wide viewing angle. 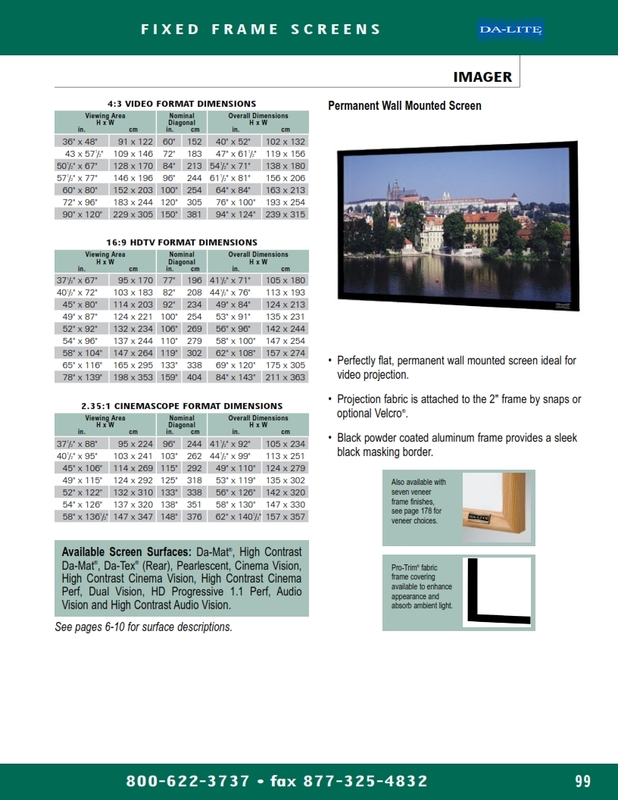 Suitable for all types of rear projection. Ideally suited for both lace and grommet or snap button type screens. Material needs to be tensioned. Screen surface can be cleaned with mild soap and water. Flame retardant and mildew resistant. Viewing Angle: 30° Gain: 1.3. *Tax collected in MN only. Check with your local jurisdiction regarding tax due for out of state purchases. Copyright © 2002 - 2017 The Final Click. All Rights Reserved.